How web analytics can be used as SEO strategy? How the use of web analytics improves the SEO of website? Commerce is seeing a steady increase in business in recent times, particularly in the online sector. An exponential increase in sales in E-Commerce transactions and leads generated make the online channels overwhelmingly successful. Needless to say, the internet is becoming an effective and powerful medium. The very first step, if a person wants to gather information about a company or service, is through the internet; on the World Wide Web. Understanding fully well the commercial trend, big and small businesses are trying to make their online presence felt. Success can be achieved from SEO only when you create a perfect design of your website as the main starting point. Here, you have to be completely oriented in order to be user-friendly even while providing relevant information that your prospective customers would need. Also, check out the interaction and behavioral pattern of your online visitors. Ensure that you retain your visitors and also try and get leads through them. The testimonies, suggestions, and feedbacks left by visitors are the hallmark of the trust towards your website. Web Analytics is the process of understanding the behavior of visitors to a website. It is about their search, their expectations and satisfaction after gathering the desired information. For great user experience and with the help of user’s journey around your website that offers important insights, make efforts to improve your site. Further web analytics records every visit of your visitor to your website and track their actions. 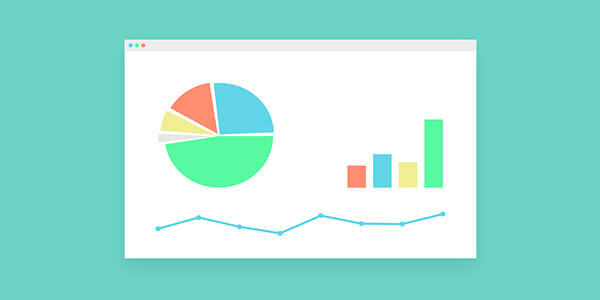 Subsequently, a quantitative report is compiled from these records that provide data on the performance of your website. SEO analysts and online marketers can obtain valid information from these reports to track their strategy and develop for enhanced results. In short, it enables your business to attract more prospects, try to retain them and also get more potential customers and increase the value of your business. Web analytics is quite capable of showing, rather objectively, what the return on investment or ROI on SEO would be like. Take a look at the pages which see low footfalls from direct traffic from search engines. Based on geography, fragment the data. Look at the top pages, which are supposed to be liked by people and interested in its contents. Thus, safeguard these pages to rank well. Observe the internal search data. These are the keywords within your site that the visitors are using to find things. Get good ranking on these keywords and phrases. If at all you run a PPC or pay-per-click campaign, just look at the key phrases that have brought the maximum conversion. Hook on these key phrases. The simple method would be to check the traffic record from the search engines during a previous couple of months. Compare those trends with the rest of the traffic available. Take a glance at the search data after segmentation. For instance, if you are focusing on a particular market, then look at the search traffic trends from that particular place. You will be amazed to see how search engines work by exploring deep enough to bring visitors. For example, if you have launched a product and you want the visitors to visit the product page, you will see how search traffic gets increased to these inner pages as well. Thanks to Web Analytics, for collecting all these intelligence from your website and provide you with relevant data. This action will prevent you from guessing but initiate action based on data. There is always the possibility of improving your website regardless of the nature of your business. Further, Web Analytics help businesses evaluate the focal point for improvement of the site and ascertain if the hard works are bringing the desired results. You can even predict the results with a small test. Conduct an A/B test to ascertain if the changes you have carried out or going to make are going to work out. Presentation: Visual and not a heap of data are needed for Web Analytics reports for you to analyze. Reports with visual representations are easier to read and help businesses to take the right decisions. You do not want to dig the data yourself, anyway. Testing: Google Optimizer, the free platform, has the capability to carry out A/B Multivariate testing. The genuine players on the internet use these testing techniques to analyze and predict the results to optimize their sites for improving the general look, relevance, and content. Web Analytics Tools: Google Analytics has made sweeping changes in the web analytics scene. The following procedures help to take full advantage of Google Analytics configuration by configuring Profiles, Filters, setting up Goals, Funnels and custom reporting solutions with Event Tracking, Cross-domain tracking, so on and so forth. There are numerous commercial tools offering better reporting and segmentation activities. Statistical Analysis: There is a different statistical analysis that can be applied over the data collected from the tools like Google Analytics and Google Optimizer. These offer a clear understanding. Efficient use of web analytics helps in formulating your online marketing strategy. Additionally, it guides by providing necessary consumer behavior data to cut back the overall marketing strategy of the business. Trustworthy online businesses should necessarily evaluate the usage of Web Analytics and get decent ROI over their online overheads.